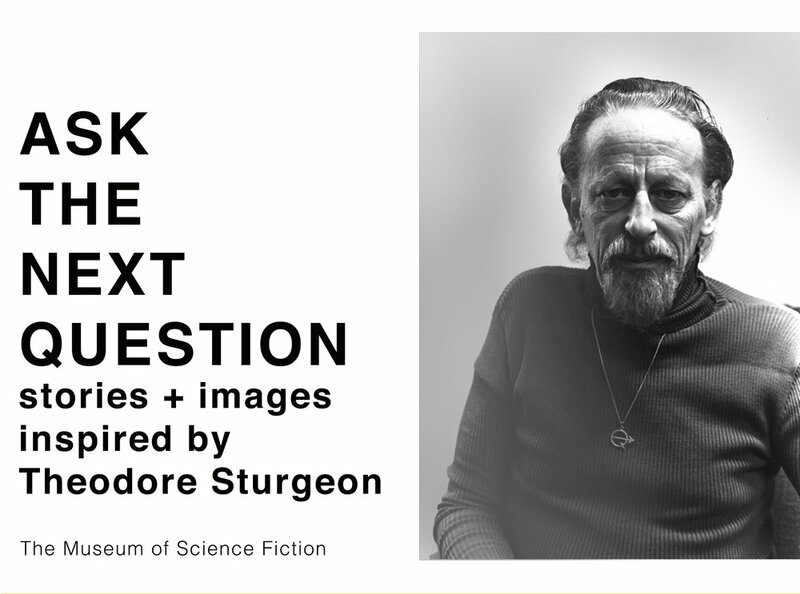 In 2018, in honor of the centenary of Sturgeon’s birth, The Museum of Science Fiction asked writers and artists to read Sturgeon’s stories and respond with original works of short fiction and visual art. Selected participants shared their stories and artwork at the Museum’s “More Than Human Holiday” gathering in December. The Museum is now pleased to make these Sturgeon-inspired works available to a wider public through this collection on our website. In these works, we meet people stranded in difficult terrain on alien worlds, traveling through time both literally and figuratively, and using their final breaths to ignite revolution. As in Sturgeon’s own work, moments of tenderness, bravery and the uncanny pervade, as human beings navigate extraordinary circumstances.